Hillsboro Implants & Periodontics | Make an Appointment today! Periodontal disease treatment may seem intimidating, but our staff goes out of the way to ensure our patients are comfortable and pain-free for the duration of treatment. Whether you are undergoing minor treatment for gingivitis or a complex surgery for advanced periodontal disease, know that you are in gentle and compassionate hands at Hillsboro Implants & Periodontics. If you are in search of a periodontist in Hillsboro, contact us to find out more about how you can schedule a consultation with Dr. Melvin and Michael Matsuda. 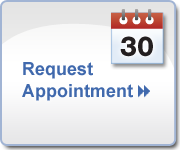 Or you may fill out the information on this page to request an appointment. We look forward to meeting you soon! We are continually improving our practice and always welcome our patients' feedback. Please leave us a review on Google or Yelp by clicking the icons on this page and be sure to like us on Facebook!